Discussion in 'Feature Suggestions & Proposals' started by ItsYa165, Aug 7, 2018. Should TSW have an Online mode? It's not a real Train Sim World without real people! I honestly believe, that having real people working together in a TSW session, to operate the services, would be amazing. This is coming from somebody who has been playing Train Simulator since 2011. Me and my friend BillionDog have been waiting for a multiplayer scheme for this game for a year now ever since I mentioned it to DTG. Online Multiplayer is a minimum requirement for every game in 2018 now, especially relevant to TSW as it recently released on the leading consoles in the the gaming market (Xbox One and PS4). Once in a while, when you launch TSW, you are asked to sign in to your DTG account. Wouldn't that be cool if it was because you'd get access to online multiplayer by signing in? TSW needs to "take it up a notch" if Dovetail wants it to become more popular. In real life, people coordinate their efforts on the line, so bring it to Dovetail Games TSW - a game played by people. "We are Rail fans". In TS2014, that meant nothing. There is no "We"! But in 2018, technology and networking is taking a giant leap forwards. Now is the chance to have that "We" and to not go "unseen". It would be fun to board a train together, travel together, fly by each other at high speed, cry over a delayed service together, drive together. People should have the option to "share your passion" with their friends and other Rail fans online. I don't actually see the point in multiplayer in this context because if one person is driving, what's the other doing? In a steam train they could be shovelling coal and getting sweaty, but a modern UK freight train? And on a passenger service, unless they had a diverse passenger management system where you could interact with the people who jumped the turnstiles, again it would be waiting for the next station to come before opening the doors. On some routes this could be once every half hour or longer. So what do YOU see the people actually doing? They already have looked into it, as mentioned by about every other TSW user. Well One guy could check the tickets of the passenger.Maybe someone could change the signals(But that should only be done by an Person which isn't an idiot who don't check anything )Well and if you are talking with another Person you could have somebody who stands an the end of the loco for shunting. So are not missing. Only the development and the concept.Butwe have enough time for that. When people play together in the game. DTG will see that they can add more activities for people to engage in. Like Chrizzly14 said, if 2 players are on a train. They could either be riding it, one driving it and the other riding, one driving and the other being a guard. There are so many possibilities when you go online. It brings people together and makes the game so much more interesting! Real time people giving you feedback on your driving. What about getting assigned a service in a lobby as a 2 man job? An online session that brings all TSW players together into a world? It would open so very many doors, and everything would be payed attention to. Do you not see this!? Do you not see this!? Nope, riding along in a virtual train with someone sounds quite dull, and I can't see how that would generate hours of interest for anyone. Don't get me wrong some games are great in collaboration (Very different when you're talking a shoot em up or fighting game), but I don't think sims work well with multiplayer. Trains have always had one person in control, and even if there are other people doing other things, the game's not called "conductor simulator" let alone "Fireman Simulator"
you see how it says rail fans and not train fans? This multiplayer debate has been going on long before TSW. Go search the Steam TS2018 forums and you will see years of debate concerning the pros and cons for such a system. Run8 has multiplayer and yet reading through their forums, most seem to run it as single player. And unless you have a strong moderation on multiplayer it only takes a few to ruin it for all. Not saying that any of that isn’t insurmountable, but for my vote, it will not be a feature I will use. I'm sorry that I did not see this post earlier. But I am aware that Multiplayer was wanted in the old Train Sim, but the old Train Sim is just too... old. It's 9 years old, and it lacks a lot of detail and features that a modern audience wants. Not to mention that DTG have just considered making TS2019 64bit instead of keeping it at 30 year-old 32bit gaming. Train Sim World needs to have multiplayer if it dares to advertise on Xbox, PS4 and Steam as an Epic UE4 game. It is the minimum requirement for a game in 2018. Yes, that's all fine and well, but some of us may just want to drive a train with say the company of a friend to take over when they're bored instead of constantly having to worry about a train coming down your track at 125 miles per hour due to an error that the signaller made. For some, it can be very funny to crash a train. Wrecks and accidents on the real railroad(way) are no laughing matter, however. The console side of the community is generally going to be towards a more casual game, while the PC side will sway towards a realistic simulator. I think that the TruckersMP mod for the SCS trucking games does this very well, but of course you can hardly have a convoy on rails. Until we get longer routes or network routes (I'm looking at you, LIRR) then multiplayer won't really make much sense as the main use I would see is, like I said, passing off the controls to a friend when you get bored while talking to them. 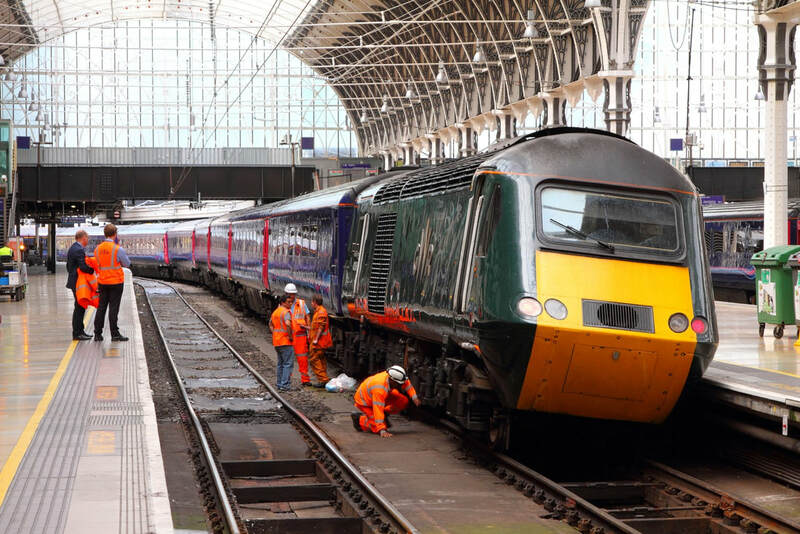 If a player was to derail at Paddington, they should suffer the consequences. And if multiplayer was added, a team of engineers (some AI, some players) could come and fix the derailment (unrealistically quickly of course). This could be done a similar way to how the cab is set up. Several points on the body of train need to be clicked to identify the problem, which are highlighted with that blue arrow. Then several pieces of equipment are needed, which are then used by holding 'E' at the points. The transition of fixture is then witnessed as the train is slowly picked back up on its feet. But if it's a more serious derailment, players must wait for the service to be removed rather than continued -which is systematically easier. Some real-life train companies disapprove of simulated crashes with trains using their brand and logos. Hence, one of the reasons they sometimes refuse a license for their brand to be used by train simulator software. It may become more difficult to obtain brand licenses if one of the objects of the game is to permit deliberate train crashes. I don't understand that. Why would companies not want to? It's not their problem, doesn't affect them. It's the manufacturer's who would, if at all, take offence. Even still, it's just a game. TrainSim-Luke When is multiplayer coming? My friend wants to really play together with me about trains, but because no multiplayer exists yet, he is missing out on the 43 goodness. Please could you tell us more information than simply "It's high on our wish list"? Train companies do not want their branded trains to be represented negatively - for example, by being involved in simulated train crashes. It is their right to object to such misuse of their brand. Indeed, they can withhold or withdraw the necessary licenses that allow DTG and other developers to use their brands and logos on train simulators. 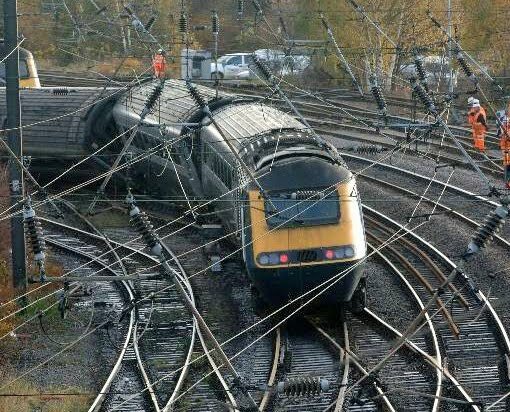 The only way to avoid this would be to use unbranded trains - but many users prefer to see company branding on their simulator stock. Well curse the companies for being inconsiderate and egocentric! I want derailment to come back to TSW. Tsw means train driving and not derailing. You have to choice. Only fictional brands or real brands. I think everybody would prefer real brands.And derailing wouldn't work cause of red signals(well driving too fast works too). My version of multiplayer would be having an online friend that plays would either be a co engineer or conductor helping you or along for the ride. They could decide to use the train as well. A voice chat system would also need to be implemented for communication in game. The way I would see multiplayer working, is only on the 'Services' mode. Each player could take up a service and then you would be driving on the same map as the other drivers. if one person is driving, what's the other doing? That's hardly an immersive interactive experience. It's not like a shoot em up or driving game where you can match skills or somehow assist the other. that sounds great though. that would be hilarious. but you'd get auto-kicked for it i guess, and the service would just respawn i suppose. maybe in private lobbies when the editor comes out, you can do whatever you want. then it would actually be hilarious and okay to do so and it wouldnt harm those trying to play properly. like in rainbow 6 siege, you get kicked for messing around teamkilling and that, same for official servers. Have you never heard of a conductor. One DRIVES the train and the other couples and uncouples cars. Would work perfect with Northeast Corridor. Have you never heard of a conductor. Yes, I used to work on trains in the UK. My point on that would be if you take a typical intercity journey in the UK, say Cardiff to London, thats a two hour drive with four or five intermediate stops. Would you want to do something where the most exciting thing you do is open and close doors once every half an hour? Definitely not my cup of tea. Hasn't DTG confirmed that multiplayer is planned for TSW? You have a fair point, but multiplayer would work perfect with Northeast Corridor. Since the main operation is switching, two people could switch twice as fast. But what WOULD you do on the other maps? As you stated, opening and closing doors all day would be boring. If DTG added more interactive passenger services or more interactive frieght services, I would be all in. A route, ex: Horseshoe Curve, with maned rear locomotives instead of dpu's would be a fine example of teamwork and beauty. This is what I've wanted to see. The editor in combination with multilplayer! Do you see now? I have always seen the possibility of multiplayer but with no maps for it to work on it would've been a total fail. With editor tools it will work the way everybody wants. lol Train Sim Mario Kart is a really funny idea. DTG tries to make a professional and not a casaul simulator. you make so much useless wishes for tsw. maybe you think more before you'll post something. How should you fight against the other ? Or how to overtake etc. etc. There's a difference between a new game, and a potential World Editor creation. I think all of you are missing the point. Remember the jet train? Yeah that happened in TS1. Dovetail didn't make that. Yet it was popular. If the World Editor Came. We'd see it return. That thing is fun to mess around with after you've been serious for hours on end. Making a crash course for it would be awesome! In turn with multiplayer, it would be epic. I'm not saying let's turn Train Sim World into Trials Fusion. I'm a train enthusiast. But as a game opposed to real life, more slack for creativity needs to be cut. Recently I've been playing a game called Stepford County Railway which was created from the Roblox studio tools. It's a train driving game but it's also multiplayer. Some players act as drivers while others are signalers, station dispatchers or passengers. It feature's a training system where you start as a Trainee driver and work your way up the ranks. While the graphics are nothing to write home about the multiplayer side of things is so enjoyable. Passing other drivers in their services while giving the horn a toot or awaiting the station dispatcher to give you clearance before departing is so much fun. I hope DTG can implement similar features into TSW. I think multiplayer should be private servers only, with passwords so only people you have selected will be able to join. Personally i'd love to do some switching with a couple of my mates or just drive an amtrak passenger service with one being the driver and the other the conductor, taking care of door operation, passenger safety etc. I think private servers should be available but I think other servers should be available as well.